Some years ago, I was walking up church street in Inverness, and was stopped by two tourists heading north, downriver. One of them came up to me, and asked politely, in a slight German accent: ‘Can you tell us where to find the real Inverness?’. It was a surprising, fascinating question and I struggled to find a response. What could be more real to an historian than church street, which, from the perspective of Inverness, is relatively strong on medieval remains? He followed up the statement to say: ‘I mean, the harbour and the port, the industry’. Again, I stumbled over my words. If I had been in Aberdeen, Dundee, Edinburgh, nearly any other seaside Scottish city, I could have given straightforward directions and pointed to a regenerated dockland or some other obvious tourist-focused places with a seafaring element for them to visit. But Inverness, although it does have a very real working harbour and port, of course, does not always show that off to the world. I pointed them to Merkinch and the Longman, with the proviso that, although fascinating and deeply important, they might not be precisely what they expected to see. With that they were off. I would have liked to have met them a few hours later and to have asked how their walk had gone. But the encounter stayed with me. It confirmed something I have been thinking for many years: despite, for example, Ship Space, the ‘interactive maritime museum’ at the Muirtown locks, and the efforts of Inverness harbour trust to develop a trail on the Longman by the ruins of the Cromwellian citadel – where the tidal water of the lower Ness meets a dolphin colony – in the minds of many, and perhaps most, people, Inverness is simply not a maritime city. I live in Tain and work in Dornoch, two other east-facing, seaside, north highland burghs, yet, again, few would describe either as maritime. 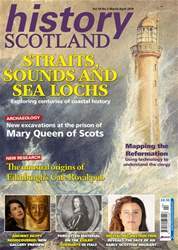 This article will aim to answer this conundrum by: identifying a regional approach to the past of what I will call the Moray Firth region, a history that is inclusive of the ‘firthlands’ of the Black Isle, Easter Ross, and east Sutherland and of the Beauly, Kessock, Cromarty and Dornoch Firths; assessing how coastal history can provide a framework for an approach focused on littoral spaces; examining how Scotland’s adjacent coasts offer a unique and potentially rewarding case study of this type, the country’s major sea inlets having been identified as culturally and historically significant as far back as John of Fordun’s 14th-century description of them as ‘incomparable places of refuge from the perilous tempests of the ocean’; and evaluating the role of coastal communications in ensuring such proximate coasts have been impacted on by their functioning as porous, trans-marine corridors, as much as them being considered ‘bottlenecks’ or ‘chokepoints’. Due to the powerful legacy and resonance of the Sutherland and Ross-shire clearances, the sea edge is viewed in the north highlands as place with an especially difficult past, a space for banishment, even exile, as much as it is as an idyll. Historical experience and cultural memory of once vibrant but, with the clearances, almost emptied interior of straths and glens, is to the forefront in the region’s history, for completely understandable reasons. This affects the identity of places like Inverness and even overlaps with tourism, in that most visitors spend longer contemplating the freshwater Loch Ness than they do human pasts in and around the intertidal spaces of, say, the Dornoch Firth or, say, Loch Eriboll or Loch Broom, even if the North Coast 500 may be slowly changing this in surprising and unexpected ways. 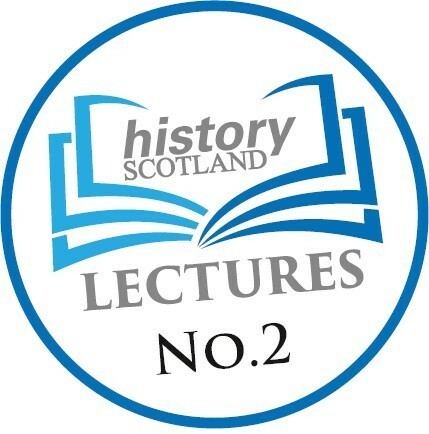 By these means, the engagement with the sea of the vast winding coast between Inverness/Beauly and Wick is often seen to have occurred only as a result of 18th-century ‘improvement’, and, in cultural memory, is not nearly as apparent (outside, perhaps, the modern, seafaring communities of Avoch, Cromarty, the Seaboard Villages, Helmsdale and Wick) as it is in the Northern isles, Argyll, Moray, or Banffshire.